Paneer is soft, luxurious and is to this date the ultimate treat in my vegetarian household. Be it Palak Paneer — paneer in a creamy spinach sauce), Shahi Paneer – paneer in a tomatoey sauce rich with nuts and cream or Paneer Tikka — my favourite appetizer, big chunks of tandoor grilled paneer which transports you to a world of euphoria. Personally, I would never make Paneer at home if I was still living in India. One can walk up to any grocery store in India and grab all kinds of fresh paneer to use in their home cooking. Options are much more limited when you come to North America. At least as of 2019, I have not found a store where I may get the chance to buy fresh paneer. There seems to be a monopoly on the brand which is offering Paneer and hand on heart, having had the real thing — it is a “bit” of a let down. 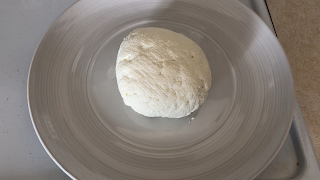 It does not have the soft texture and absorption properties that fresh, real paneer boasts.This process to make homemade paneer is for the most part easy with one catch. Patience. I would have to admit this is a treat given the time and ingredients used to make this. So all you need is 2L of whole milk, buttermilk, a non stick pot and cheese cloth. You can use 2% milk in place of whole milk but I wouldn’t recommend going below 2%. After all, you are extracting milk solids from the milk to make paneer which includes some fat. Skim milk or 1% would never have enough of this to make enough if any paneer. 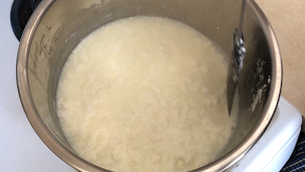 Reduce heat to low and heat milk until it starts to foam (you may need to cover the pot if this takes too long). Keep stirring from time to time to ensure the milk does not stick at the bottom of the pot. As soon as the milk starts to foam, stir in the buttermilk and heat until the milk starts to separate. You will notice milk will curdle. Using a spatula, collect the “chena” or paneer from the sides of the pot towards the center. Continue with this process until the liquid becomes thin, reaching the consistency of water. Turn off the heat, cover the pot with a lid and set aside for 15-20 minutes. In the meanwhile, place the colander/strainer over a large bowl and place the cheese cloth exceed the entire surface of the colander/strainer. Once the milk/paneer has cooled for 15-20 minutes, transfer the paneer to the cheesecloth laden colander/strainer using a skimmer. Once all the paneer has been transferred, tie the ends of the cheesecloth together and squeeze until you extract most of the excess water (Note: if you want to have chena on toast with tomato chutney, you may use the paneer as is without squeezing the cheese cloth). Next, transfer the paneer on a large plate and place a heavy cutting board of pan on top. Add weight by stacking unopened cans and let any remaining water come out of the paneer for 2-3 hours. Your paneer is ready to use in any of the delicious dishes on my blog! Enjoy! So to get going, you want to add 2L of whole or 2% milk in a large pot and heat the milk to the slowest boil on medium heat and as soon as you get to this stage, turn the heat low and heat the milk until it starts to foam. Be sure to stir the milk from time to time to ensure the milk does not burn. This will impart a strong burnt flavour in the paneer, here is where the patience part of the recipe comes into place. As soon as the milk starts to foam, add 250mL of buttermilk. Give it a quick stir and you will soon notice that the milk will start to curdle. 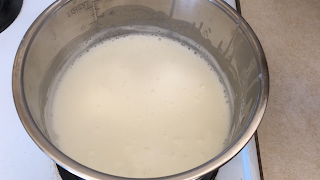 As the milk starts to separate, collect the “paneer” or “chena” towards the center of the pot and as soon as the liquid that has separated starts to look thin, like water, cover the pot and set the pot aside for 15-20 mins. As the pot cools down, prepare for the final step. 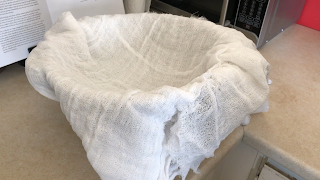 Taking a large piece of cheese cloth, at least 13’ x 13’ in length, lay it out on a colander or strainer and place that on a large bowl to collect the liquid. 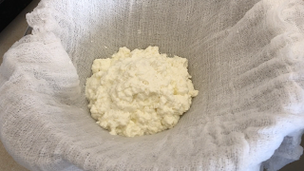 Using a skimmer, gently transfer the chena from the pot and place in the cheese cloth. Be careful as to not break the chena. I call this chena because believe it or not, this used to be a delicious breakfast. Every other morning, we would have fresh chena, which is basically paneer which is still hydrated on toast with a fresh tomato chutney. Absolutely Delicious! After you have transferred all the chena to the cheese cloth, tie the ends of the cheese cloth together and squeeze to extract as much water as you can. Now you have two options the slow method or the fast method. If you have extra time on your hand, 24 hours or more, tie the cheese cloth to your kitchen sink and let gravity give you a helping hand. After 24 hours, all the excess water would have dripped out and you would have a handsome hunk of fresh paneer. 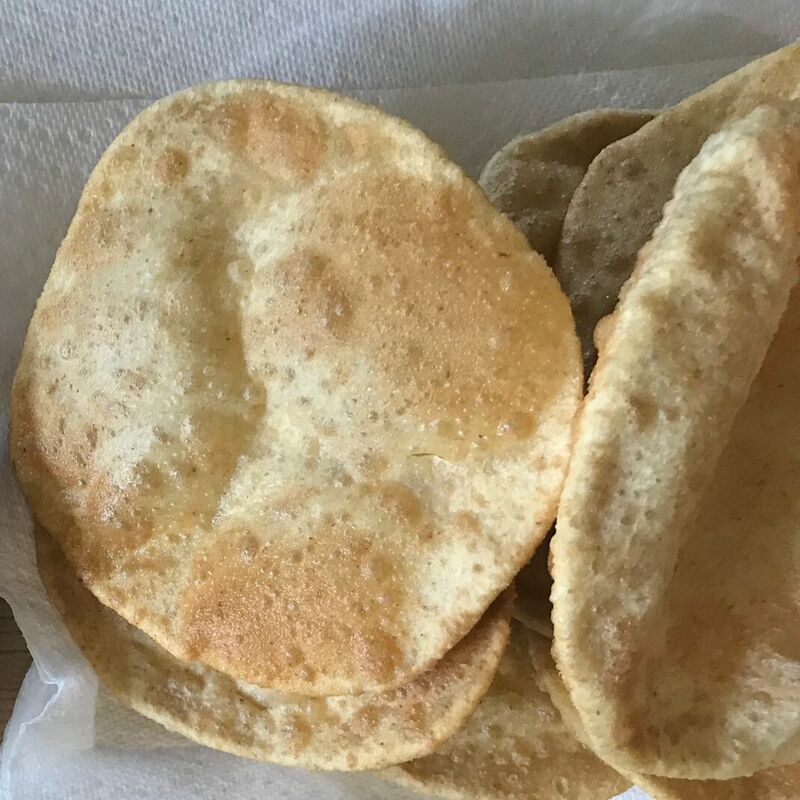 To speed things up a bit, which us what I did, transfer your paneer from the cheese cloth to a plate and place something heavy like a stainless steel pan or cutting board on the paneer, yes on it and balance heavy items such as unopened cans of beans, tomatoes to apply pressure. Within 2-3 hours, all the excess water would have dripped out. At this point you may use the paneer in your dish. This would make about 250 to 300 grams of paneer. I generally like to use this over a period of time given all the time I just spent to make it! So portion these out into cubes, individually wrap them in plastic wrap and freeze the ones I plan on using later. GO AHEAD now and treat your guests, family or even your self to a hearty Paneer dish which was made with so much love. 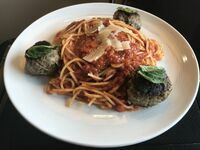 Hope you found this recipe easy to follow.